Iran’s state media watchdog has suspended a hard-line publication and warned two other like-minded outlets for criticizing the nuclear deal reached last month between Iran and major world powers. The government’s Press Supervisory Board suspended the weekly 9 Dey, which is run by lawmaker Hamid Rasaei, a staunch government critic, and referred the case to a court, Iranian news agencies reported on August 3. The publication had been targeted twice before by the government watchdog. Iran and the so-called P5+1 group of world powers — Britain, China, France, Russia, and the United States, plus Germany — reached an agreement in Vienna last month to lift sanctions against Tehran in exchange for significant curbs on its nuclear program. The deal has been welcomed by many Iranians but faced criticism from some hard-liners who accuse Tehran’s negotiators of making too many concessions to the West and violating red lines set by Iranian Supreme Leader Ayatollah Ali Khamenei. “The news of the banning of 9 Dey under the government of [Iranian President Hassan] Rohani is not surprising,” Rasaei wrote on Instagram in reaction to the suspension of his newspaper. 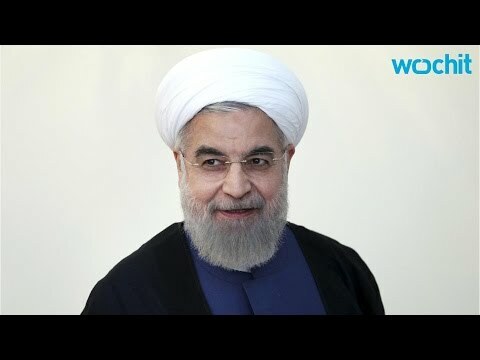 He accused Rohani’s government of having little tolerance for criticism and said that his publication has been targeted three times due to its “enlightening” coverage of the nuclear negotiations. Rajanews also blasted the decision by the press board and accused the government of attempting to silence dissenting media. The website said that “unlike the negotiating team,” the outlets targeted by the media watchdog had respected Khamenei’s red lines while offering a “technical review” of published texts and comments by negotiators. Rajanews added that if the nuclear deal were good for Iran, then there would be no need for “top-secret directives” and actions against the media to portray it as a victory. Kayhan’s editor, Hossein Shariatmadari, said he was unaware of the reason for the warning. “We don’t know which article by Kayhan has been disputed,” Shariatmadari was quoted as saying by the semi-official Fars news agency. Kayhan has been critical of the talks and the accord. One of the daily’s recent front-page headlines claimed that the Vienna agreement was a “shot” at Iran’s security. The moves against news outlets critical of the nuclear deal come several days after Iran’s government reportedly told media privately not to criticize the agreement. It also said that media should avoid publishing content that suggests a “rift” among senior officials about the negotiations. The guidelines also said articles that create “doubts and disappointments” among the public should be avoided. Iran regularly faces criticism from press freedom advocates for its tough censorship efforts. The Paris-based media watchdog Reporters Without Borders ranked Iran 173rd out of 180 countries in its 2015 press freedom index. The New York-based Committee To Protect Journalists included Iran in its 2015 list of the most-censored countries, noting that media freedoms have not improved under Rohani, who has promised Iranians greater liberties. While pro-reform publications have been regularly targeted by censors, attacks on the conservative media by Iran’s ruling establishment have been less frequent. Copyright (c) 2015. RFE/RL, Inc. Reprinted with the permission of Radio Free Europe/Radio Liberty, 1201 Connecticut Ave NW, Ste 400, Washington DC 20036. Join our newsletter and have sharp analysis delivered to your inbox every day.